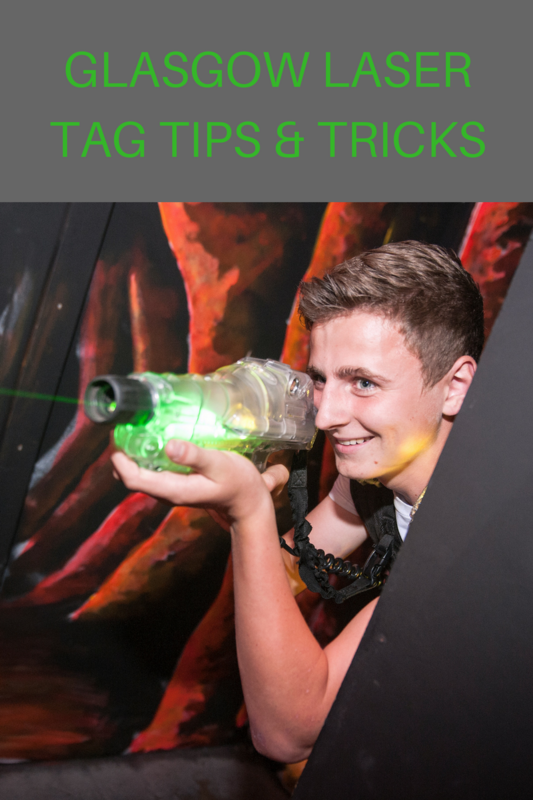 Lazer tag is a fantastic fun game to play with your friends and workmates, which is easy to learn how to play. Get to know the arena – the briefing room at Lazer Planet in Clydebank has an arena map which is well worth studying. Wear dark clothes – the UV lights make whites and light colours glow! Pay attention to the players briefing – learn the scoring system and how long you will be deactivated for. Your eyes take a little time to adjust to the low light in the arena so it’s best to be on the defensive, in a protected area to start with. Find a good spot to hide – look for somewhere you can see the enemy, but where your back is protected. Try and aim at the higher scoring zones on a players laser tag vest. If you are playing a base game concentrate on disabling the base, it accounts for far more points than shooting other players. Know where the ‘mines’ are, in Lazer Planet they are on the top deck of the tower so players can’t take up ‘sniping’ positions for too long. If you are shot at don’t just stand there returning fire, seek cover and evade the other player. Communicate with other players on your team! If a player follows you and shoots you every time you reactivate (spawn killing) get your team to take them out, or call a referee. Study your scores afterwards, and discuss with your top performing team mates how they achieved their high laser tag scores. Don’t run, it’s dangerous if you run into another players phazer, and you are an exposed target. It’s better to crouch low, and keep your back to the wall. Work as a team, especially on base games, to provide covering fire, whilst you advance. Stick together for more firepower! Above all have fun, and remember if you are shot learn from the experience, and improve your game when you are reactivated a few seconds later. Our referees are happy to help and pass on their knowlege, just ask when you next visit Lazer Planet, ultimate laser tag in Clydebank, Glasgow.